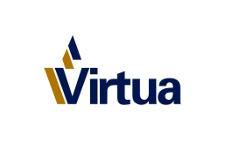 Virtua Health and Rehabilitation Centers provide expert care in a compassionate environment for patients requiring nursing care, sub-acute medical care or in-patient rehabilitation. Our sites are conveniently located within our hospital complexes in Berlin and Mount Holly, for easy access to emergency hospitalization or more advanced medical care if needed. Our experts include board certified physicians and physical, occupational and speech therapists, who work as a team to provide a customized plan of care designed for each patient. Our goal is to help every patient restore a meaningful quality of life and regain as much independence as possible. Virtua Health and Rehabilitation Centers are accredited by the prestigious Joint Commission.